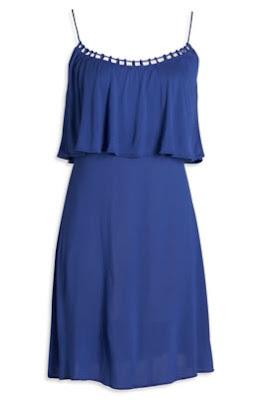 This blue tiered dress is perfect for a hot summer day. The tiered layer on top is also great for hiding any tummy problems. It's a steal for $9.95 (originally $39.50) and it comes in black and red. Tip: You can pair it up with some flat sandals for a more casual look or dress it up with a wedge.